Today’s guest blog post comes from Chris Miraglia. 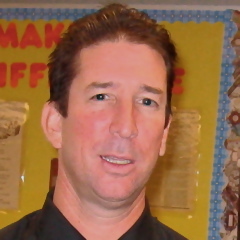 Chris is an intermediate school US history teacher from Santa Ana USD. A prior contributor and frequent commenter at this blog, Chris also writes at his own blog and is active on Twitter. Part Two of this post, by guest contributor Chandra Goodnough, is now online as well. Last summer, a select group of teachers met at the California Teacher Association headquarters in Burlingame as part of the newly formed Teacher Leadership Cohort. The group was composed of teachers of varied levels of experience, as well as coming from diverse school districts. The goal was simple and twofold: tackle an area in education where change is needed, and take on a teacher-leader role (possibly not yet defined) to address that need. The philosophy behind the effort is based on Andy Hargreaves and Michael Fullan’s book, Professional Capital: Transforming Teaching in Every School. In the two-day session last summer, twenty-plus educators discussed the basic tenets of the book, focusing on implementing change. Teacher empowered change was the buzzword. With assistance from CTA staff and with hours of discussion and team building, each teacher began to formulate a project addressing identified needs in their respective districts. Leaving the two-day session, empowered by the energy generated by these teacher leaders, each individual began the process of identifying the stakeholders in their projects, areas of resistance they might encounter, where they could find support, and what was the timeline for implementation of their goal. 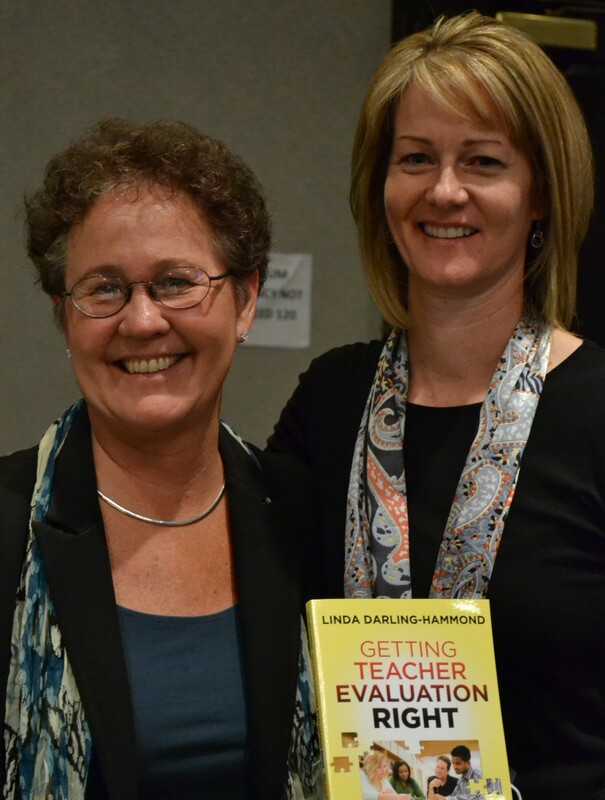 Linda Darling-Hammond (L), and Shanan Brown, with a copy of Darling-Hammond’s book on teacher evaluation. For me, teacher evaluations have always had an appeal, so I set out to make a change in our process at the district level. For teacher evaluations and observations, my district has utilized an archaic form that does not serve its intended purpose. The first step in the process was meeting with my local president and CTA representative who were informed of my undertaking. With their support for the venture, we collaboratively worked out a strategy in which I visited school sites in order to survey their needs in area of evaluation, then presented findings to the union’s local representative council, and compiled a survey which will hopefully be used as jumping off point with our district in negotiations. While this process moved forward in my district, our CTA Region 4 teacher leader cohort met monthly, online or in person, to discuss the status of the projects. Each member of the cohort facilitated a session and provided valuable input for each of our projects. Although our CTA cohort process technically ended in March, my project, as well as those of many of my colleagues, will continue past that point, as we are fully committed to change. Since teacher evaluations are a negotiable item, the outcome of my work may not be readily evident until next year or later. However, the knowledge gained from the experience was invaluable. Teacher leadership roles have typically consisted of department and committee chairs, union positions, and only a few other identifiable positions. However, by empowering teachers to take additional roles in shaping the profession, in professional development, parent engagement, or changing evaluation policies and practices, a new activism is born. For teacher-generated ideas about improving teacher evaluation, see the evaluation policy report produced by Accomplished California Teachers – on our Publications page.